Wallo™ Expanding Product Line at AHR EXPO 2015: Introducing Commercial-Sized Spring-loaded Round Ceiling/Wall Access Panels – Wallo Brands | Providing Quality and Value to Consumers Worldwide. Madison, WI (PR.com) December 05, 2014 — Wallo™ has solved two key access panel problems with one ingenious, patented circular design. Previously, cumbersome, hard-to-install square-shaped access panels were the only choice – until Wallo. 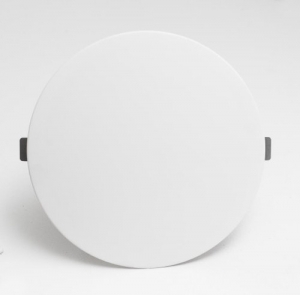 Since their introduction in 2012, Wallo’s easy snap-in, pop-out circular access panels for drywall ceilings and walls have become an instant success with DIYers. (http://drywallaccesspanels.com). Now, building upon their popularity, Wallo Brands is taking the next logical step and adding two larger sizes to bring Wallo into the commercial and industrial market as well. Now both residential and commercial designers can preserve the finished look of drywall while providing quick and easy access to air dampers, plumbing, vents, electrical wiring, and the like. For example, the new 9” panels are designed to access or install dampers such as the Arzel EzySlide (up to 6” round and 10” joist), Arzel Inserta Dampers, Arzel Balance Pro Dampers or equivalent brands/damper sizes. Wallo Brands LLC is located in Madison, Wisconsin. We’re a forward-thinking group of people specializing in creating innovative solutions for environmentally-conscious construction and remodeling companies and homeowners. We love working with companies that want high quality products and care about reducing the carbon footprint by using eco-minded products like our Wallo drywall ceiling access panels.